Chiké Okonkwo Demo Reel from Chiké Okonkwo on Vimeo. Chiké is one of the leads of Nate Parker's THE BIRTH OF A NATION, which was a record-breaking acquisition at Sundance in 2016, being purchased for $17.5m by Fox Searchlight. Hailing from London, Chiké started his career in theater working at the ROYAL NATIONAL THEATRE and the ROYAL SHAKESPEARE COMPANY. His time with the RSC culminated in his performance in the award winning production of JULIUS CAESAR that transferred to New York in 2013, to rave reviews. Okonkwo is currently a lead on BET's hit show BEING MARY JANE and stars in British Indie film GENESIS being released by Lionsgate in 2018. Each intensive will start with a brief Q&A with our special guest. 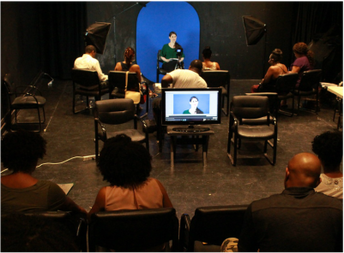 Next, each actor, one by one, will go in front of the guest and a reader to perform their scene on camera. 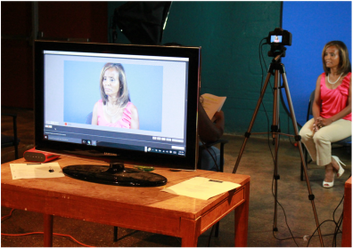 After receiving coaching and feedback, the actor may be asked to do the scene a 2nd time. 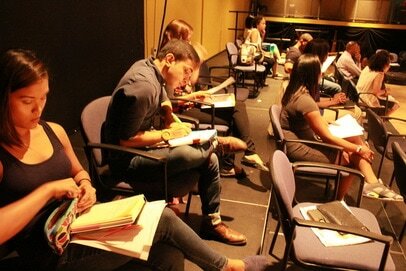 All other actors in attendance will be able to watch your performance live on a screen while you're auditioning.